On August 16 the Calcasieu Parish Sheriff’s Office was dispatched to the Festival Apartments on Fruge St. in Lake Charles in reference to a theft. Upon arrival deputies spoke with a corporate manager for the apartment complex who stated $600 of tenants’ rent money was missing. 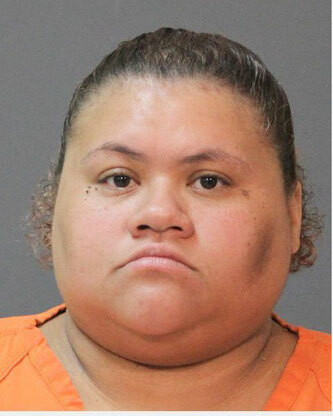 The investigation revealed several money orders made payable to former employee, Carla K. Louis, 31, 1404 Sage Dr., Lake Charles, were located. The money orders should have been made payable to the Festival Apartments. CPSO Detective Jody Antoine, the lead investigator, discovered more money orders and cash receipts made out to Louis and were deposited in her bank account totaling $6,420. Louis was arrested and booked into Calcasieu Correctional Center on November 6 and charged with Theft from $5,000 but less than $25,000. Her bond was set by Judge Sharon Wilson at $5,000.